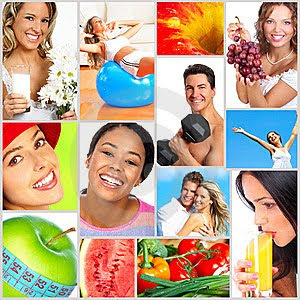 Linda LaRue Blog: Make Healthy A Lifestyle January 2010 Issue: Let's Get Connected! Make Healthy A Lifestyle January 2010 Issue: Let's Get Connected! The Make Healthy A Lifestyle January 2010 Issue is here, and it's all about Getting Connected beginning first and always from your coeur! Did 2009 fly by way too fast or is it just my perception? Well folks, it’s now 2010. I believe this year is all about getting connected—from connecting with old and new friends on Facebook and Twitter, to getting health and fit biz info, to ordering anything and everything workout related on Amazon. Most importantly I believe this year is about getting your body, especially your core, connected to your brain—primarily your movement and emotional centers. Making that connection to your body, mind, and emotions will help you eat better, move better, and feel better too. How you learn to hold your body will help you move most effectively. How you deal with your emotions will help you process your emotions more healthfully, which will help prevent emotional over-eating. Making Healthy A Lifestyle is about helping you connect to your core, body, and life. Hopefully, this site will help provide safe and effective science based info to help you get and stay connected in all aspects of your life this year. My #1 best workout tool to help you get mind-body core connected is my new CORE TRANSFORMER®, which you can buy at www.LindaLaRue.com/store.